Chevron (NYSE: CVX) is a $231 billion business. The oil giant is based out of California and it employs 48,600 people. Last year Chevron pulled in $159 billion in sales and that breaks down to $3.3 million per employee. 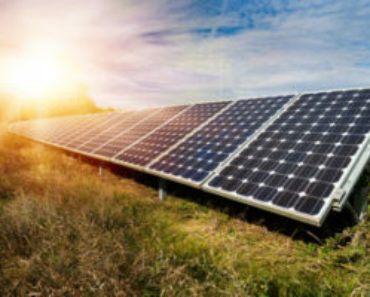 The company operates within the energy sector and maintains a solid credit rating (AA) from the S&P. This allows Chevron to issue cheap debt to grow the business and finance other initiatives. Chevron has paid a dividend every quarter since 1980. 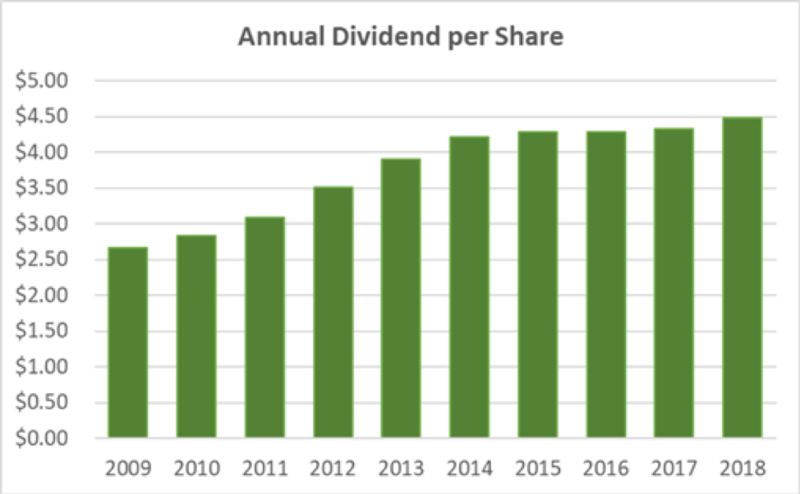 Let’s look at their dividend history over the last decade to determine Chevron’s valuation. Chevron’s long history of paying dividends makes it one of the best dividend stocks around. 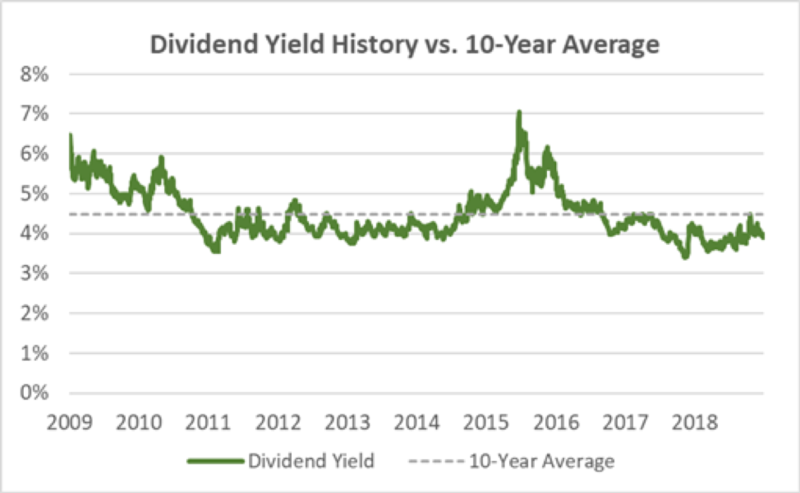 This also makes the dividend yield a great indicator of value. A higher yield is generally better for buyers. Sustainability is also vital. 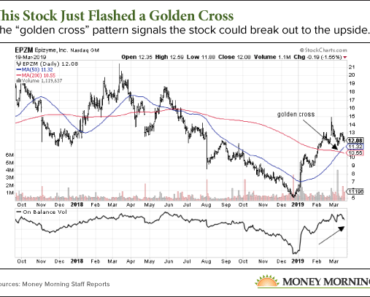 Many investors look at the payout ratio to determine dividend safety. They look at the dividend per share divided by the net income per share. So, a payout ratio of 60% would mean that for every $1 Chevron earns, it pays investors $0.60. The ratio based on free cash flow is volatile over the last 10 years and the trend is up. 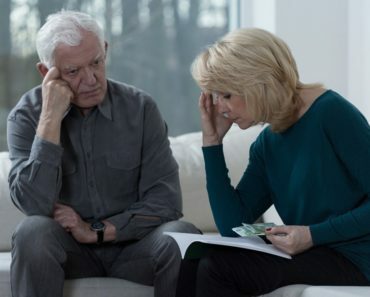 The last reported year has a payout ratio of 50.5%. This gives wiggle room for Chevron’s board of directors to raise the dividend. 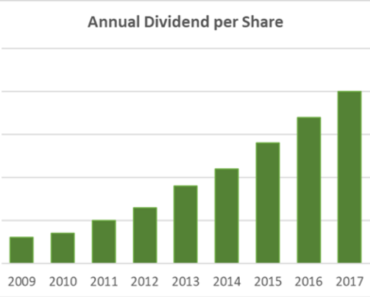 Chevron’s previous dividend of $1.12 will increase to $1.19 a share. That is a 6.3% increase. It’s a slowdown from past dividend raises. But Chevron’s profitability relies on an increase in oil prices. If oil prices increase, expect Chevron’s dividend to increase as well. If you’re interested in learning more, please comment below. You can also check out our free dividend calculator.